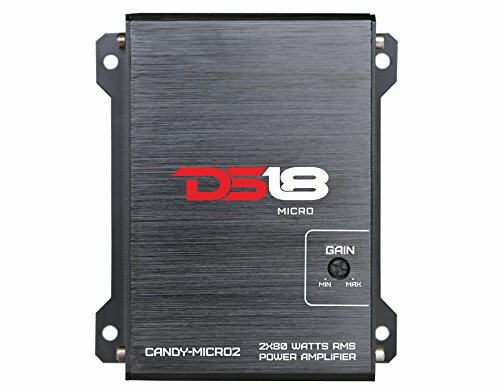 The DS18 CANDY MICRO series offers mini, compact amps that not only have the juice to power your system but will also save you a ton of space in your car or bike to transport whatever you need. Don't sacrifice comfort for better sound when you can simultaneously have both. The Candy Micro series comes in Monoblock and Stereo configurations. FITS EVERYWHERE AND SAVES TONS OF SPACE: DIMENSIONS (Lx W x H) Inches: 4.75" x 4.25" x 1.5"